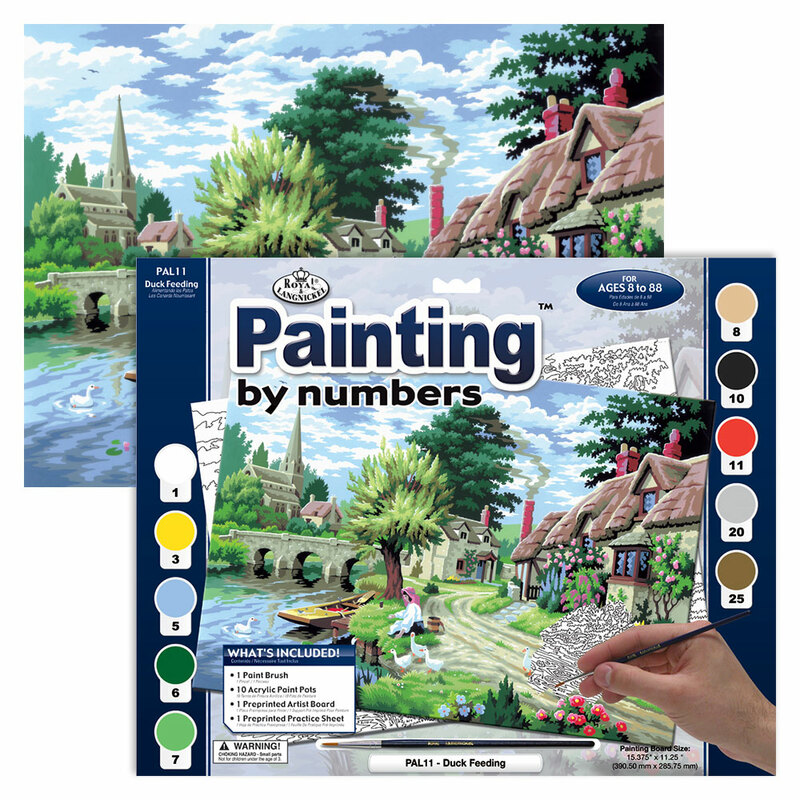 A lovely detailed, paiting by numbers set, showing the subject of feeding the ducks, suitable for ages 8 - 88. In the set you will receive a printed canvas, the necessary paints, a brush and full instructions. What a lovely relaxing way to pass the time of day, creating your own work of art, which you can frame when completed and display in your home. Also a brilliant idea for Christmas gifts.